Muhammad Ali, accompanied by his daughter Hannah, centre, and wife Lonnie leave Ennis following their visit to Turnpike road, his ancestral home. Photograph by John Kelly. 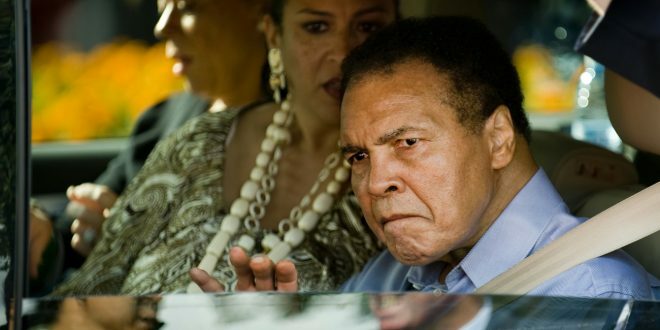 A REMEMBRANCE service for the late Muhammad Ali will be held in his ancestral home of the Turnpike in Ennis this Friday. 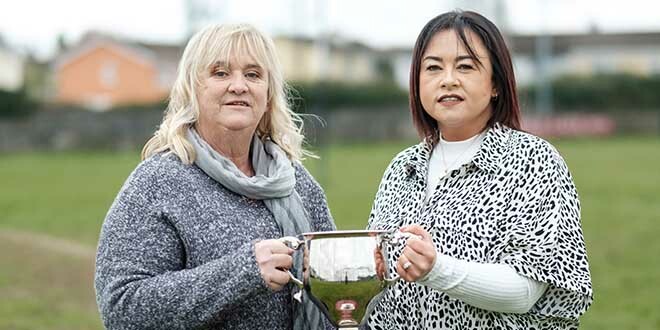 The service will be held on the green of the Turnpike, where just seven years ago the greatest boxer that ever lived stood and was welcomed by the people of Ennis to the town. It will take place at 7pm close to the Muhammad Ali monument, unveiled by the man himself in September 2009. 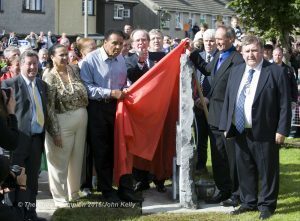 Muhammad Ali unveils a memorial stone in Ennis at Turnpike road, his ancestral home. Photograph by John Kelly. Fr Ger Fitzgerald will conduct the service, which has been organised with the assistance of former councillors Frankie Neylon, mayor when Ali visited Ennis, and Michael Guilfoyle from the Turnpike. 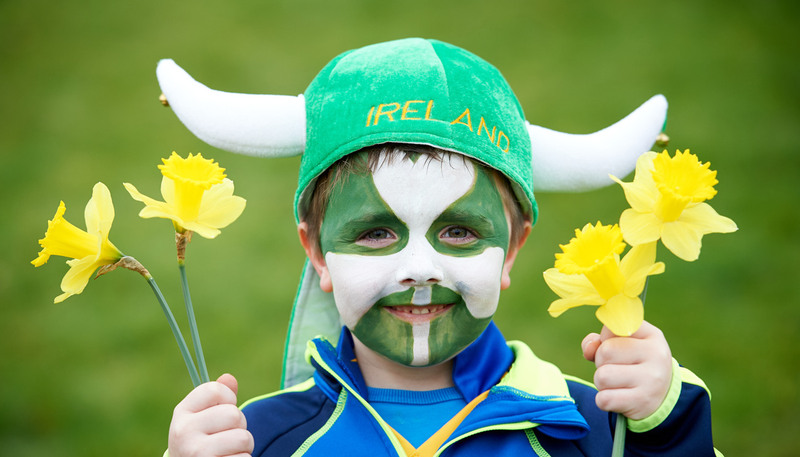 As many as 10,000 people gathered in Ennis in 2009 for a chance to glimpse Ali when he visited. 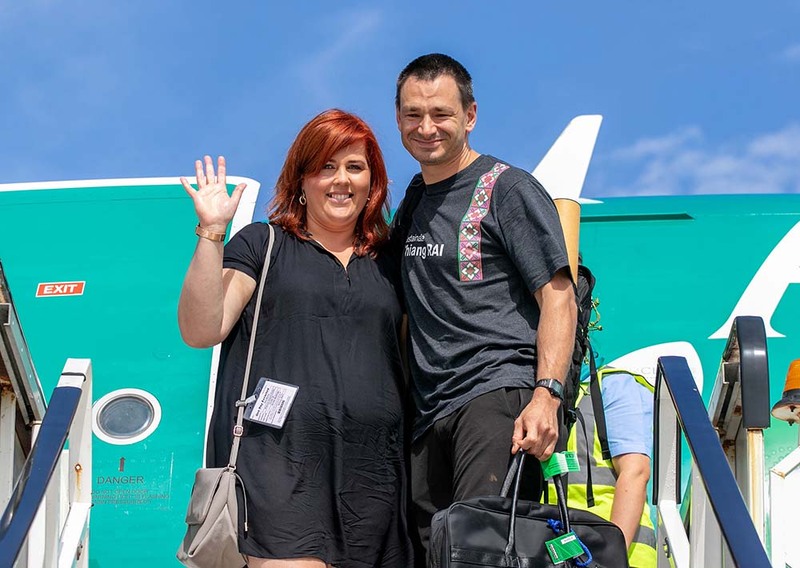 Among the invited guests at the ceremony were representatives of families descended from Ali’s great-grandfather Abe Grady, Imelda O’Grady, Mary Grady Gormley and Mary O’Donovan Kelly. After the invitation-only ceremony, Ali was taken to the Turnpike, where he unveiled a specially commissioned sculpture before large crowds.